Impact of working with the SBDC: The entrepreneurs were granted an SBA guaranteed loan which enabled them to begin their 16-employees business. Additionally, out of the 200+ Great Harvest stores, the Bells have won: Phenomenal Bread – New Store (2011), Top Sales – Young Store (2012), and Top 10 Sales Growth (2013), in addition to awards for customer service. 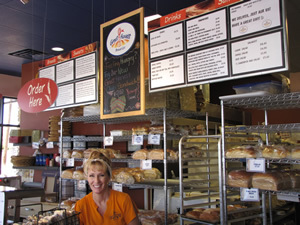 Read the whole story, and learn more about the New Mexico SBDC and the Great Harvest Bread Company of Farmington, NM.